St. Joseph's Academy is a wonderful environment in which to learn and grow in the Catholic Faith. What makes our school different, if not exceptional, is its unmistakable Catholic atmosphere – Holy Mass, Benediction, Confession and daily prayer. The school environment is that of a caring and joyful community of staff and pupils, supportive of one another. Our specific purpose is to create in the pupils a distinct Christian, Catholic character of mind, body, and soul. We strive to introduce our children to the mysteries of our Faith, through the formative splendor of the Latin Catholic Liturgy; to deepen their appreciation of Sacred Church Music, in particular Gregorian Chant; and finally, but not least, to awaken in them the life of prayer in union with Christ. From this essential, foundational aspect of our school program, everything else flows: academic studies, music, drama, sport. To learn in such an atmosphere of faith and charity is indeed, we believe, the pearl of great price, a treasure. In our instruction there is no divorce of faith from learning as we perceive all things – academic, religious, spiritual, and material – as unified in the Truth that is God. This is our mission; this is the goal of St. Joseph's Academy, the formation of well-developed, well-educated and committed citizens for the future well-being of both Church and state. The purpose of our religious instruction is to deepen the child’s knowledge of the Catholic Faith – to heighten awareness of the need to grow in the love of the Truth and the acquisition of virtue, both crucial elements in the formation and development of a sound, well-balanced Christian personality conscious of its role in society. Being citizens of both Church and State, we teach our students to take seriously the obligations they will incur, and our program impresses upon them the duty and necessity of being responsible and productive citizens. Each house has a patron and a crest. 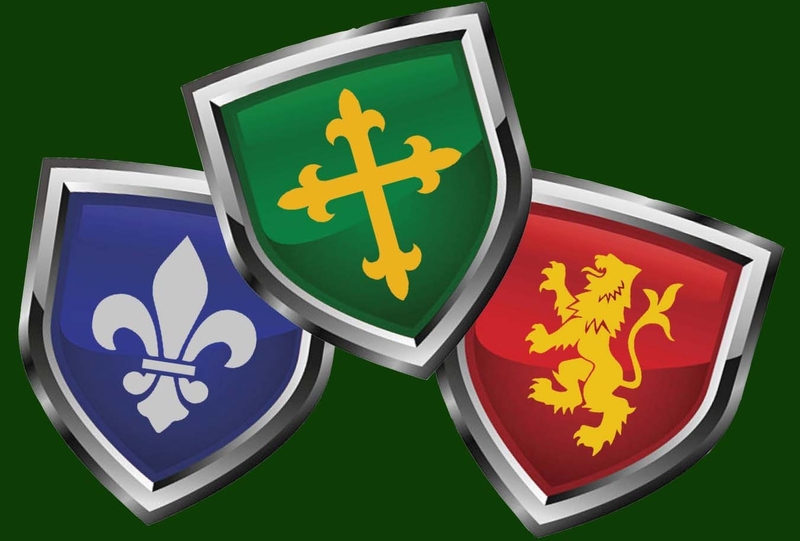 Pictured above are the crests of Solanus House, Kateri House, and Jogues House. 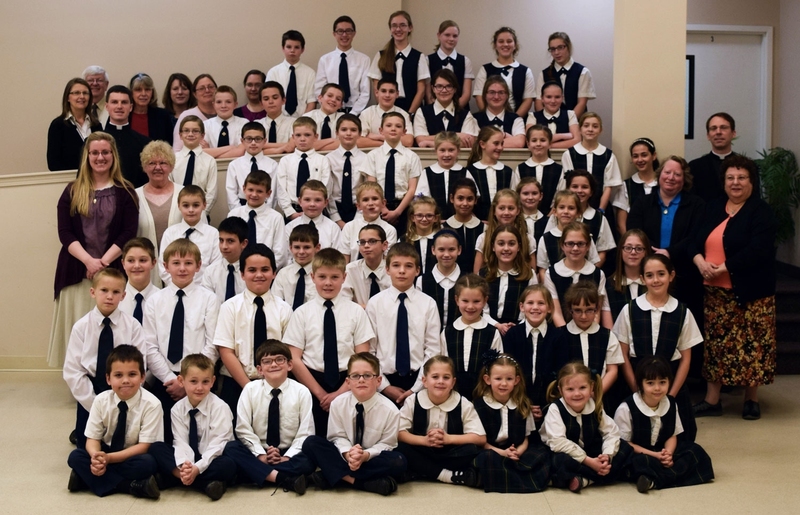 Fifty-Three students in grades K-8 are currently thriving under the watchful care of our 17-member teaching staff.